SATELLITE CABLE. Coax, Made up satellite cables. Primesat UK cable page. Satellite connectors. Low prices. Big discounts. Quality satellite cable. Primesat made up cables with compression F connectors fitted. We can make cables for you of any length and fitted with professional compression F connectors on the ends. Please note that Cablecon compression F connectors are the best available, (beware of poor copies) they are completely watertight (no need for amalgamating tape or weatherboots) and are tested down to 2 bars of presssure under water. The cable available is either single, twin or (quarto/quad) 4 LNB cable in white or black. 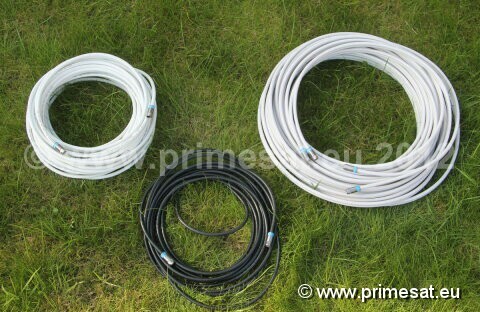 Primesat Hamburg white 4LNB cable. Webro WF100 black and white single cable. Webro WF100 black and white �twinsat� twin cable. All cables are 7mm (UDC is 6.8mm bit the same connector fits) and the Cablecon 5.1 connectors are used. (5.1 is not the size, it is the mdel number of the connector designed for 7mm cables. 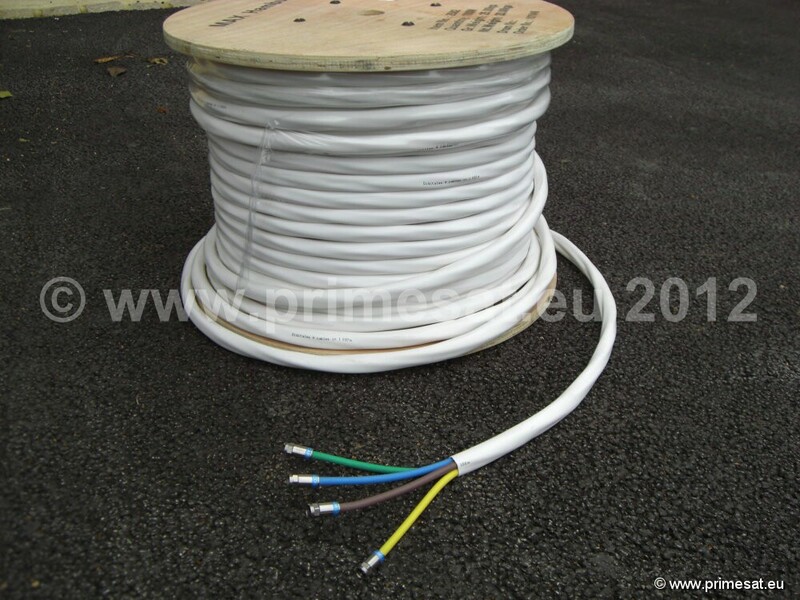 �UDC� �Ultimate Digital Cable�, ideal for long cable runs due to the very low attenuation per metre. We can fit compression F connectors on one end only if required. 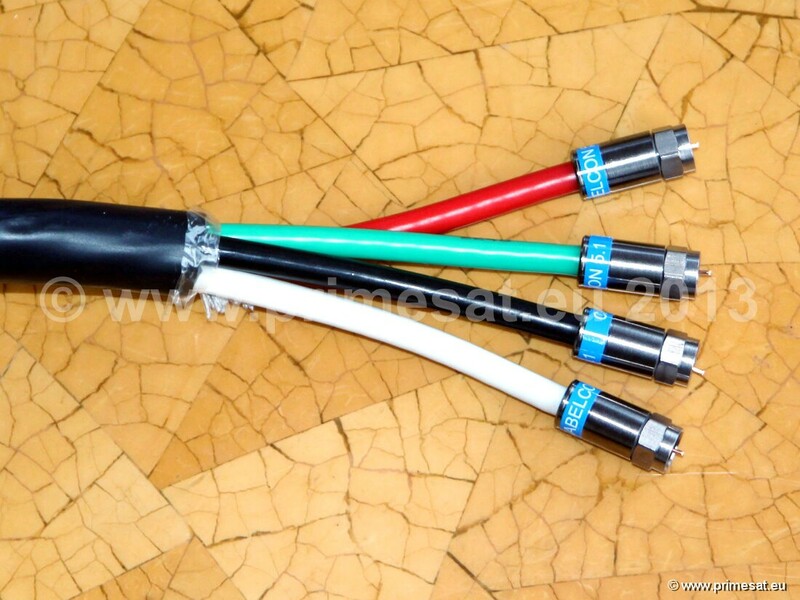 Standard UHF cable with IEC aerial connectors fitted are also available. 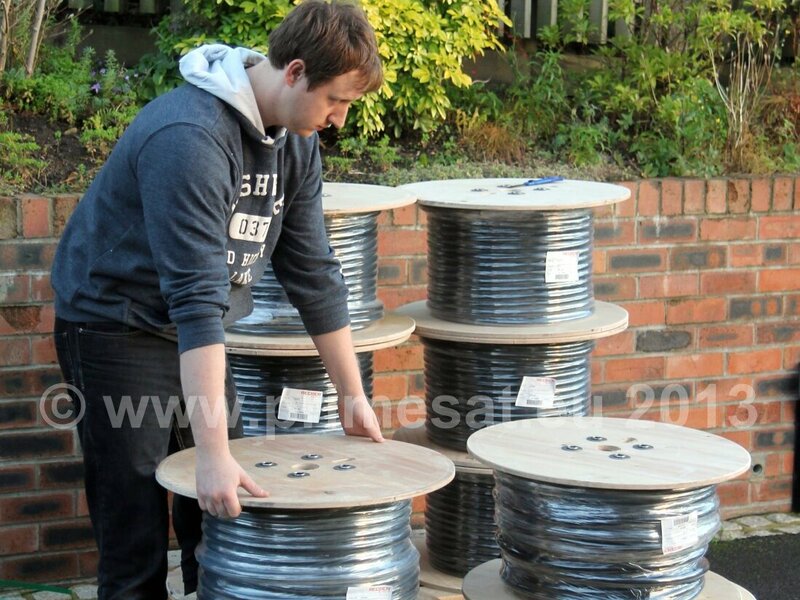 All of these made up cables can be turned into extension leads if a back to back coupler is fitted to one end. 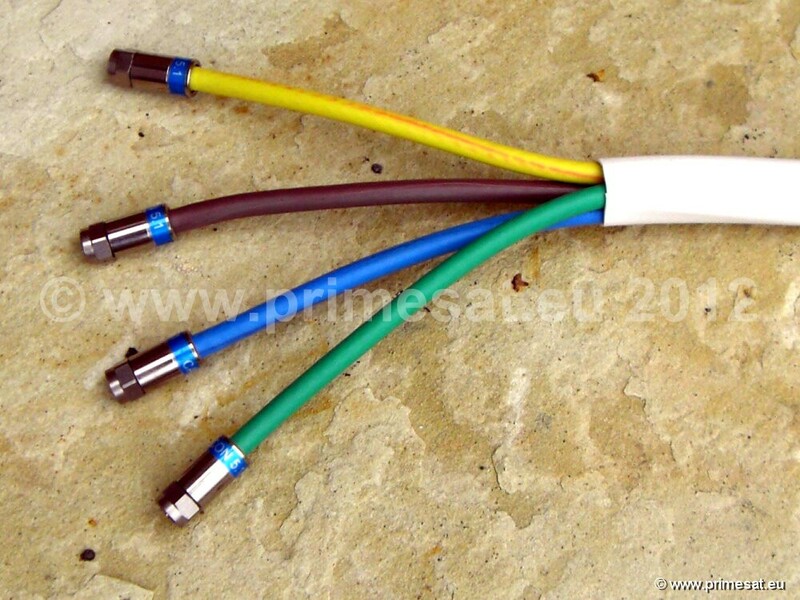 The cables normally have male connectors on both ends but a back to back coupler turns a male end into a female end and so the cable then becomes an extension lead. This applies to both the F connector cables and the IEC aerial connector cables. If you need to feed a cable through a window without wanting to drill any holes, this flat cable adapter is ideal. Flexible and flat. Total length - 220mm. Length of flat flexible section 170mm. Female F connector sockets are on the ends so it will connect to normal F connectors on the end of the cables attaching to it.